636 pages | 70 B/W Illus. The renaissance in urban theory draws directly from a fresh focus on the neglected realities of cities beyond the west and embraces the global south as the epicentre of urbanism. 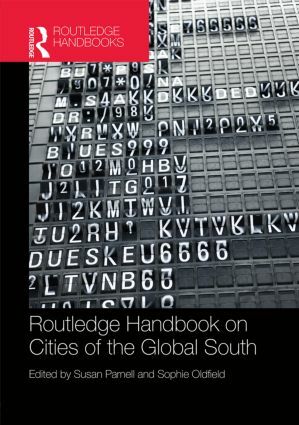 This Handbook engages the complex ways in which cities of the global south and the global north are rapidly shifting, the imperative for multiple genealogies of knowledge production, as well as a diversity of empirical entry points to understand contemporary urban dynamics. Susan Parnell is an Urban Geographer in the Department of Environmental and Geographical Science and also serves on the Executive of the African Centre for Cities, both at the University of Cape Town, South Africa. Sophie Oldfield is a Geographer and Associate Professor in the Department of Environmental and Geographical Science at the University of Cape Town, South Africa.